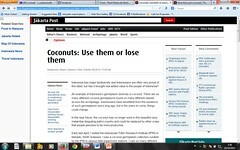 ← Coconut Germplasm (and In Fact, Other Crops as Well): Either Use it or Loose It! Before posting the answer to that question, let’s recall what was the locus and what was allele in RAPD marker. 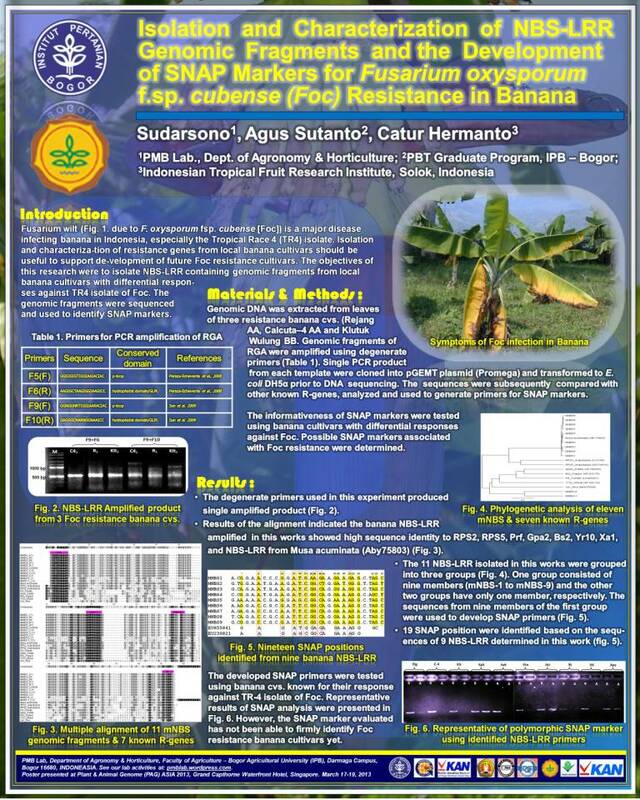 In RAPD marker, one define the locus as “the random primer used and the size of the selected amplified product.” Let’s assume a random primer OPA9 was used to amplify genomic DNA of coconut, and there were three amplified products (350, 500, and 780 bp, respectively). In this case, the OPA9 was able to generate RAPD markers at three different loci, namely: (1) OPA9-350, (2) OPA9-500, and (3) OPA9-780, respectively. As it has been discussed before, for each of the RAPD locus, there would be two possible alleles, either amplified product for that particular loci is (1) presence [+] or (2) absence [-]. Deletion in between annealing sites of the forward and reverse primer. 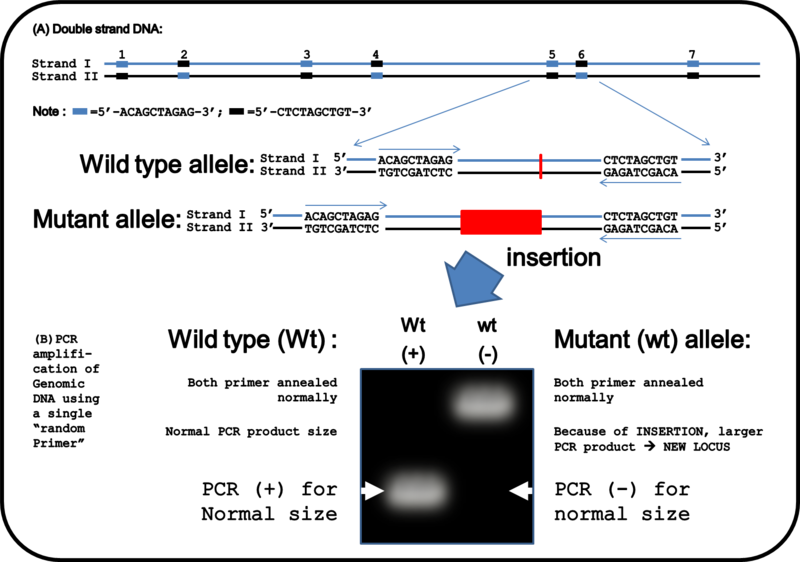 Case 1: As it is illustrated in Figure 1. there was a point mutation – a single nucleotide substitution (changes from C to A or from T to G) at the 3′ end of the template DNA corresponding to the forward primer annealing site. Because of the mutation, forward primer can not be elongated (the 3’end of the primer is not base pairing with the template). Those result in negative PCR amplification reactions (RAPD marker [-]). Similarly, any other mutations at the forward primer annealing site preventing the forward primer to anneal at it or preventing elongation of the primer by DNA polymerase would result in negative PCR amplification reactions (RAPD marker [-]). 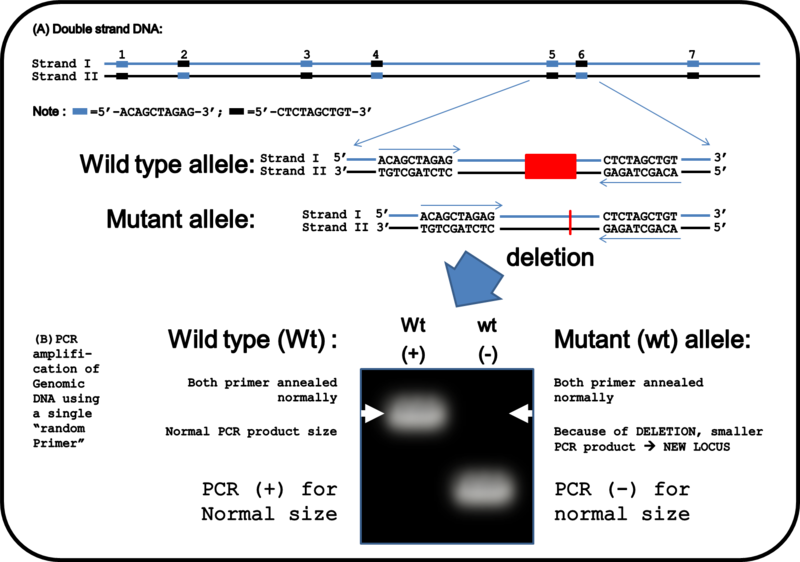 Case 2: As it is illustrated in Figure 2. there was a point mutation – a single nucleotide substitution (changes from C to G or from G to C) at the 3′ end of the template DNA corresponding to the reverse primer annealing site. Because of the mutation, reverse primer could not be elongated (the 3’end of the primer is not base pairing with the template) and resulted in negative PCR amplification reaction (RAPD marker [-]). Similarly, any other mutations at the reverse primer annealing site preventing the reverse primer to anneal at it or preventing elongation of the primer by DNA polymerase would result in negative PCR amplification reaction (RAPD marker [-]). Case 3: As it is illustrated in Figure 3. there were two point mutations – two nucleotide substitutions at the 3′ end of the template DNA corresponding to both the forward and reverse primer annealing sites. Because of the mutations, both forward and reverse primers can not be elongated (the 3’end of the primers sre not base pairing with the template at the 3′-ends) and resulted in negative PCR amplification reaction (RAPD marker [-]). Similarly, any other mutations at both the forward and reverse primer annealing sites preventing both the forward and reverse primer to anneal at the sites or prevent elongation of the primers by DNA polymerase. 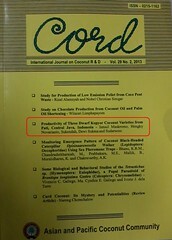 Such events would result in negative PCR amplification reaction (RAPD marker [-]). 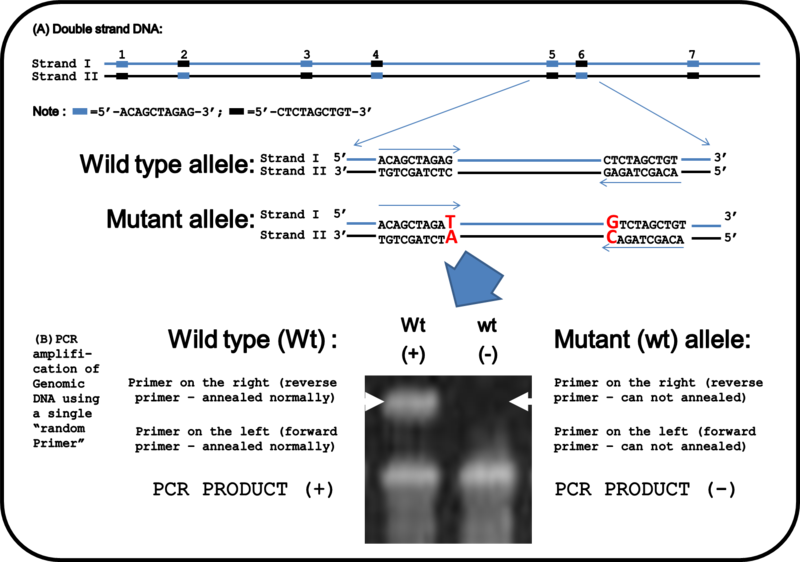 Case 4: As it is illustrated in Figure 4. there is an insertion mutation in between the forward and reverse primer annealing sites. Because of the insertion mutation, the PCR amplified product would be larger than the original one. Hence, at position of the original size, there is no PCR amplified product (PCR [-]). Although, there is a new size of PCR amplified product from the same DNA site, it would be regarded as new locus because of the size differences. Case 5: As it is illustrated in Figure 5. there is a deletion mutation in between the forward and reverse primer annealing sites. Because of the deletion mutation, the PCR amplified product would be smaller than the original one. 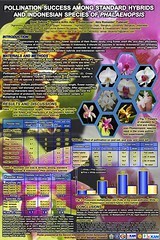 Hence, at position of the original size, there is no PCR amplified product (PCR [-]) for the mutant plant. 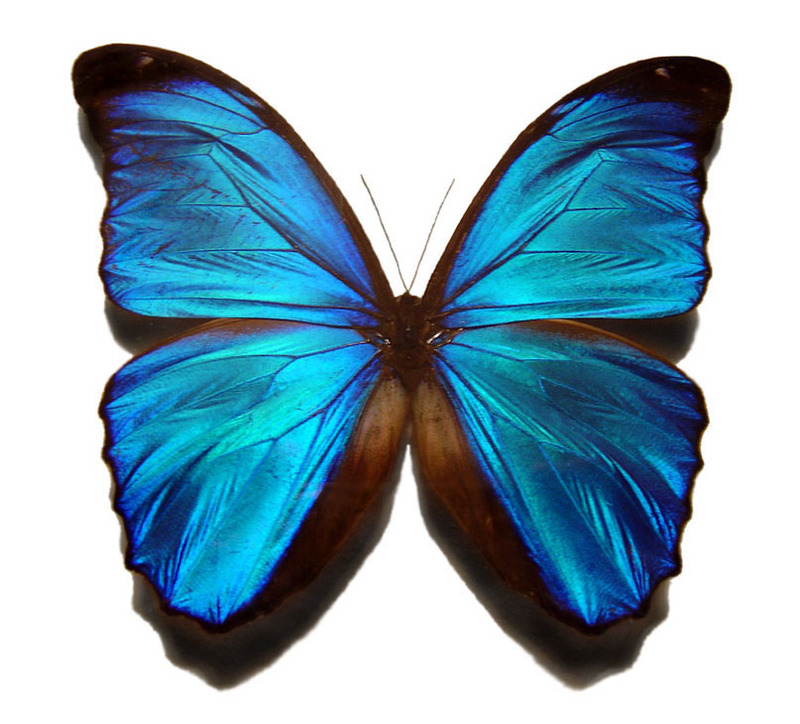 Although, there is a new-smaller size of PCR amplified product from the same DNA site, it would be regarded as new locus because of the size differences. There might be many other ways that can cause allele diversity in RAPD marker. However, five cases listed in this posting are most probably the major causes of the allele variation in RAPD marker. 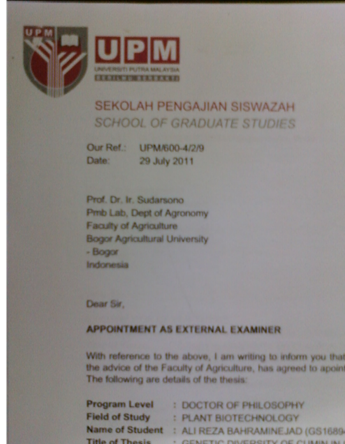 This entry was posted in Kuliah (Courses), Q & A and tagged AGH635, Allele variability, Mutation, RAPD marker. Bookmark the permalink.